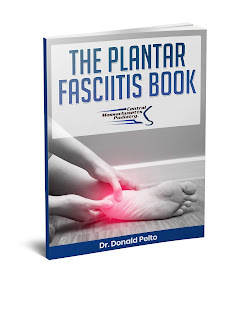 Dr. Pelto's Blog: My doctor told me to use Vicks on my thick toenails, does that work? 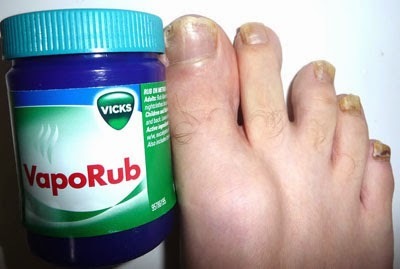 My doctor told me to use Vicks on my thick toenails, does that work? This is a typical question and advice that I get from patients regarding nail fungus. Now, let’s start out to talk about nail fungus. Nail fungus is actually an infection caused by an organism called T. rubrum and it causes thickening, yellowing, discoloration, and lifting of the nail off the nail plate. The best way to diagnose this is with a nail sample and once you decide on treatment, you have to decide what type of treatment. One of the types of topical treatments includes Vicks therapy. This is the same Vicks that you use on your chest when you’re sick and it has a nice smell to it. This has been shown in a few studies to help clear up fungus in the toenail, but in my opinion it’s not the best way of dealing with it. What I find when using Vicks, it tends to soften up the nail so the nail breaks off easier, and it maybe looks better, but very rarely is it able to totally resolve the nail fungus. When dealing with nail fungus, you have to determine if it is superficial or just on the top portion of the nail and it’s just slightly whitened. That may work okay with the Vicks or any other type of topical antifungal medication, but if the whole nail is involved, you’re going to have a harder time dealing with it with the Vicks and you may have to use an oral medication like Lamisil or even one of the newer type of therapies with laser therapy.